Gone are the days of DIP (Dual in-line) ICs. Most modern ICs are no longer offered in easy to use 2.54 mm (0.1 inch) pitch packages. The descendants of DIPs, the SOIC (Small Outline IC) and its friends (e.g. the TSOP (Thin Small Outline Package)) are shrunk down to 1.27 mm (0.05″) and even as low as 0.5mm (0.019″). 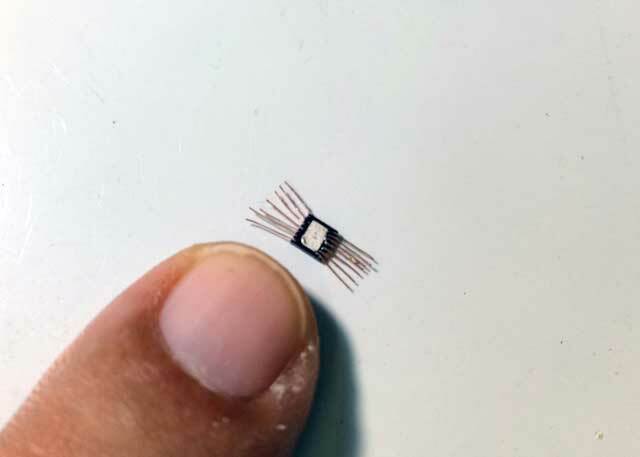 So how do we prototype using such tiny critters? We do it using the Dead Bug approach: A free-form construction, point-to-point soldering, often with the ICs flipped upside-down with their pins sticking up into the air like dead insects. The components are constructed, ad-hoc, using a bare copper-clad board serving as common ground. This construction technique drastically reduces electrostatic noise compared to other prototyping techniques using perf-boards or bread-boards. Soldering a tiny TDFN-14 0.5mm package! Dead-bug constructions are typically ugly beasts! We use a variation of the technique called the Manhattan Dead-bug Style, using small pads punched out of copper-clad board and glued into the main copper base. The pads serve as islands for soldering circuit nodes. I like modular, reusable building blocks. 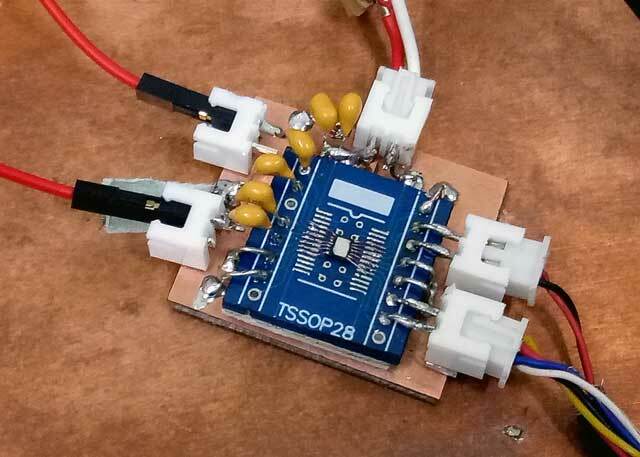 And so we build small modules and connect them together, all on top of another bigger copper clad board. 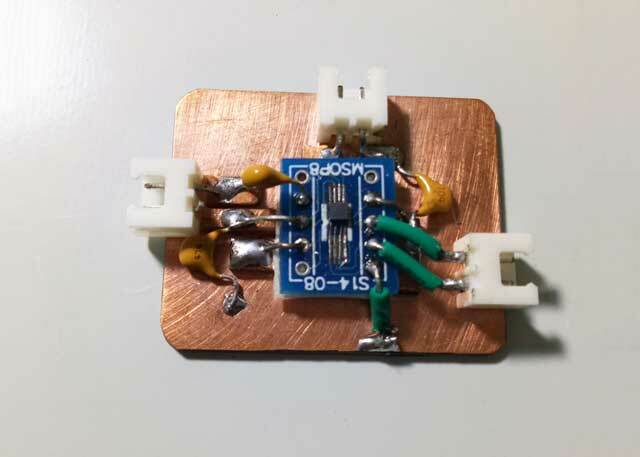 This construction is very favorable to noise sensitive electronics. The module you see here is a high efficiency Class-D amplifier.